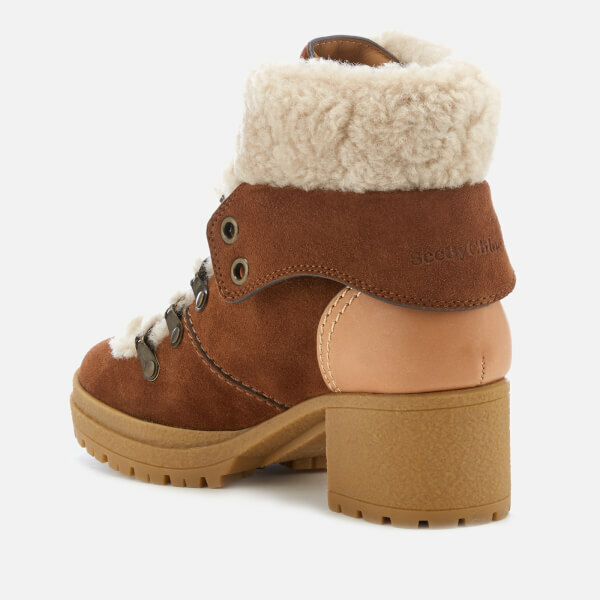 Suede heeled hiking boots from See By Chloé. 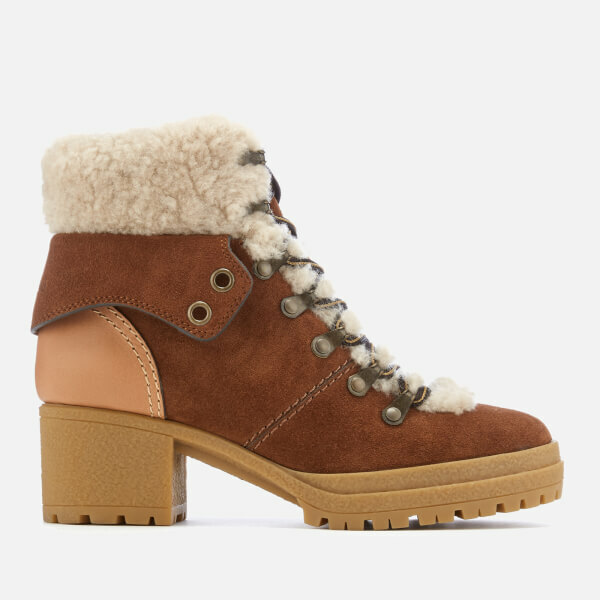 Crafted with brown suede uppers, the round toe ankle boots are designed with a shearling cuff and lace trim, a fold down ankle flap with debossed See By Chloé branding and antiqued gold-tone metal eyelets. 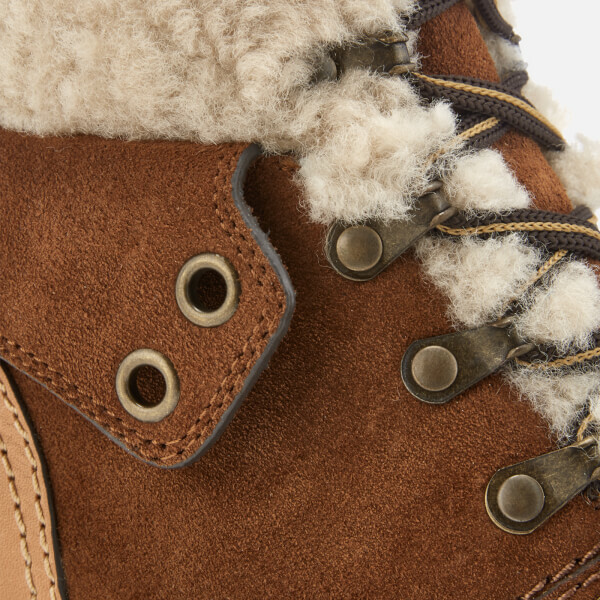 The lace fastened boots sit on a gum rubber sole with a block heel and a chunky lug outsole for added grip. Complete with a branded dust bag. Upper: Calf Suede. 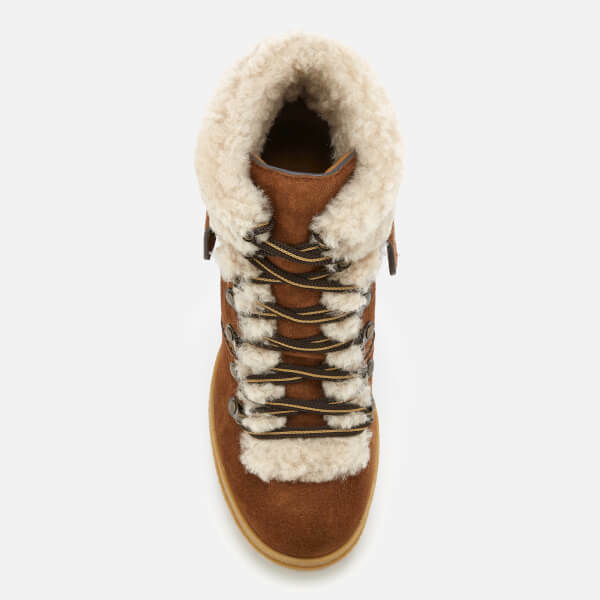 Cuff/Trim: Shearling. Sole: Rubber.